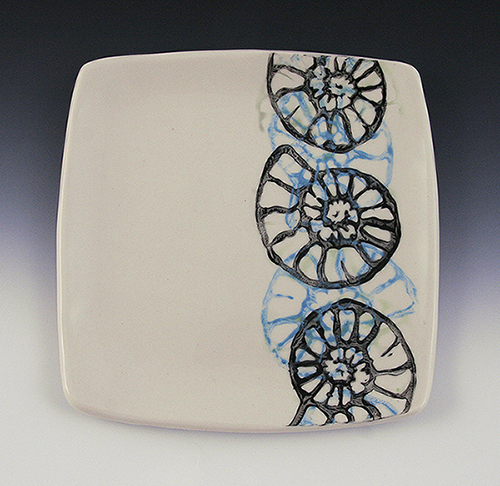 A new series of plates using a handmade stamp of a nautilus shell. To transfer the image, the stamp is coated with underglazes, then lightly stamped onto leather hard porcelain. Once the underglaze dries, the clay is shaped into a plate. Beautiful “Gifts from the Sea” captured on pottery.